Today’s education system is not good enough when it comes to learning coding and programming, believe the entrepreneurs behind Sci-Code. By providing a platform for software and tools for teachers, content creators, institutions, and students, their goal is to make the learning process more enjoyable, more visual, and easier to access. The entrepreneurs met while studying at the University of Agder. They were all looking for people with the same work ethic as themselves—an ethic in stark contrast to the “do-just-enough-to-get-a-job” attitude they think is strong among many students. “We are very ambitious people and strongly believe in what we are doing,” says Magnus Lysfjord, CEO of Sci-Code. 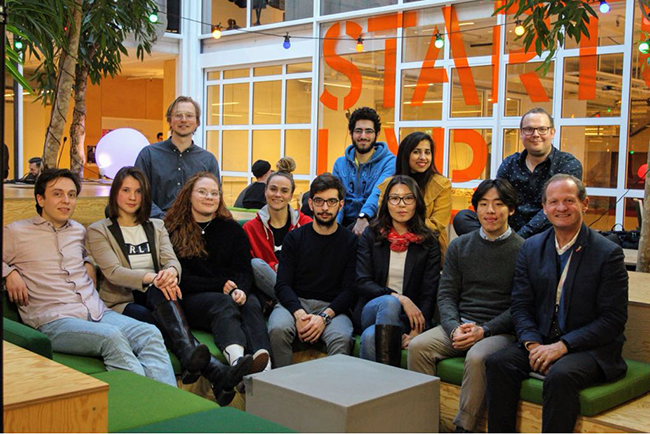 Sci-Code is registered at InnoBørs, “Norway’s independent innovation exchange where the good ideas meet capital and competence.” In addition to Lysfjord, the core team includes COO Tarek Rahou and CTO Simen Fossnes. Shradha Venkittaramanan is a business analyst and part of the marketing team. The goal of the Sci-Code learning platform is to help the education sector learn programming languages in a non-theoretical and interactive way. “With the abundance of ICT (Information and Communication Technology) jobs in the market, we realized that a global solution for knowledge dissemination is necessary to continue to be in line with the democratization of technology,” says Lysfjord. “This means improving and optimizing the over-obvious shortcomings of our current education system—a system we have all experienced painfully as university students. Sci-Code offers an arena where teachers, students, and developers can come together. Some of the key features when learning ICT with Sci-Code is monitoring and documenting performance, an effective feedback system, continuous guiding through the program, algorithm visualization, and a rich library that can be easily adapted to multiple languages. “Instead of spending weeks on creating interactive coding tasks, like at Codeacademy, our lean content manufacturing system enables any expert to create learning software in any language, in minutes, without having to code,” Lysfjord adds. The product is still under development, and the team currently runs five pilots at Asker youth schools and one at the University of Agder. So far, the feedback has been positive, says Rahou. Now the team wants to raise funds for further development of the platform. They applied for NOK 1.5 million from InnoBørs. “Since we are in an early phase of product launch, we meet our potential investors by chance and at mechanical engineering events, at incubators, and at conferences—for example, at our presentation at the Opera House during Aftenposten’s ATech conference. We receive regular guidance and feedback from our partners—including the Research Council—which helps us to move in the right direction,” concludes Venkittaramanan. This article was originally published in Norwegian in the April 24, 2018, issue of innomag.no (www.innomag.no/ukens-grundercase-vil-gjore-ikt-enklere-og-mer-tilgjengelig-med-egen-laeringsplattform).